I cry out dramatically when squirted in the eye by an orange I'm cutting. Gigi comes rushing in and I I tell her, "I've been attacked by my orange!" She sighs, "Oh Mom, I thought it was a real misery that happened to you." Which is an approximate translation of what she was evidently thinking in French, which is "J'ai cru qu'un vrai misère t'es arrivé" (literally: "I believed that a real misery arrived to you"). As I flail about dramatically with acid eating through my eyeball, we laugh at how unnatural her sentence sounds. It's not French, but it sure ain't English. I am having a conversation with my friend Mei in which neither of can remember our idioms. "Bone of contention" and "It's a whole other ball of wax" spur a five-minute discussion and finally a quick check on her iphone. Is it a ball of wax? Why is the wax in a ball? Is it a point of contention? A bone of contention? Is contention even a real word? Is it obligatory that I know my idioms? Is it weird to say "obligatory"? Our girls never whine, "Mooooom, do I have to?," but rather "Mooooom, is it obligatory?" In the midst of another conversation, I get the word "mère porteuse" in my head. After an hour of having it on the tip of my tongue, but unable to come up with anything but "incubator" in English, I finally call Anthony, interrupting him at work: "What is the word in English for a woman who carries the baby and has the pregnancy on behalf of another woman?" "Oh," he replies, nonchalantly, "you mean 'surrogate mother'?" Show off. 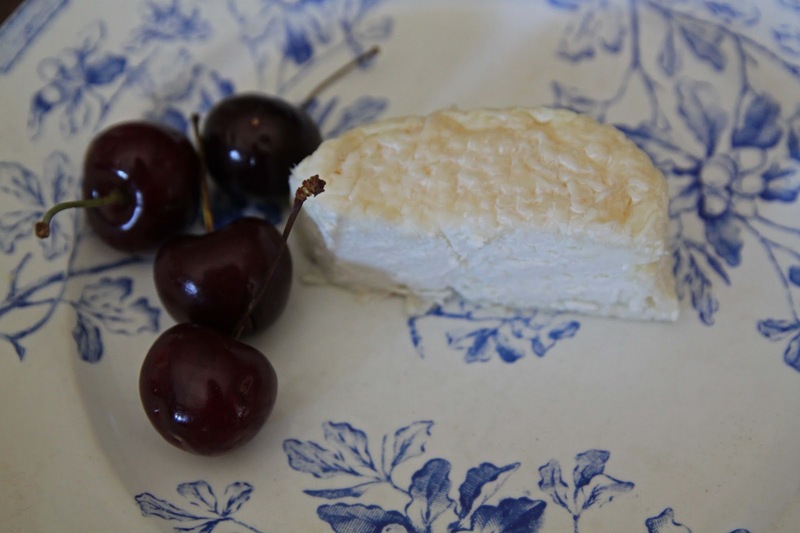 Gour Blanc is a raw goats' milk cheese from central France, in the Limousin area. Like it's sister cheese Gour Noir (the blackened version of it), it's made in cool caves in Corrèze. It's a family farmhouse cheese, made with the milk of the Saanens goat herd they've had since 1979. It's a pretty-shaped oval cheese, with a soft, silky crust and a creamy, snow white interior. The flavor is a lovely balance of salty with the sweetness from the cream. When we first moved here, I heard Pippa speaking French and saying "verte pomme" (adjective first, then noun) but I corrected her "pomme verte" (literally, "apple green", the correct way to say it in French). She internalized that lesson so well that not too long after, I heard her speaking English and saying she wanted to wear her "shirt blue" so I had to correct her again, but in English: "blue shirt". Poor kid, where does the adjective go? Before or after? It's confusing, and so for a post about messing up in your language once you've gotten used to another, I offer you the "Gour Blanc" which means, literally, "Hill White" but which we would translate as "White Hill."